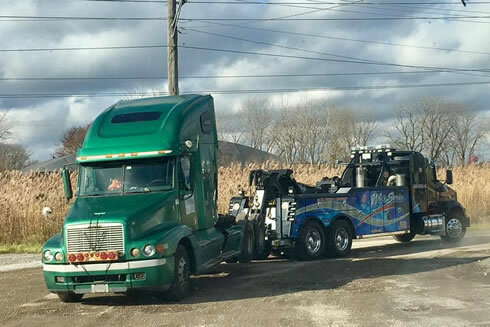 Wes’s Service, Inc. has been servicing the Chicagoland community for over 50 years and takes great pleasure in being Chicagoland’s most trusted towing, recovery and roadside service provider. 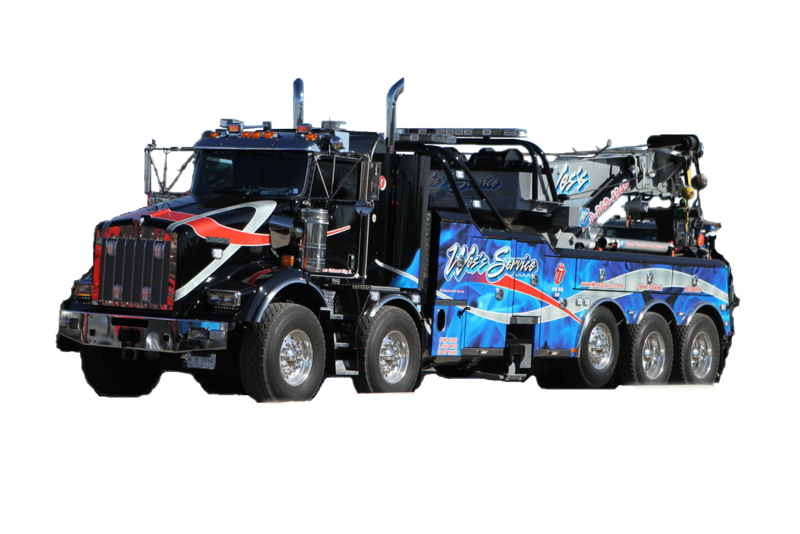 Wes’s services all the surrounding states to ensure we can be your full service towing and recovery vendor. Iowa, Wisconsin, Illinois, Michigan and Indiana are only a drive away for us. We run a reputable business and pride ourselves on having prompt response times for both emergency and non-emergency calls; employing experienced, professional and courteous staff, and continuously striving for customer satisfaction. Our large fleet consists of over 55 new to newer vehicles that are adequately equipped and maintained to meet and exceed all service requirements. Our vehicles and facilities are fully bonded and insured. 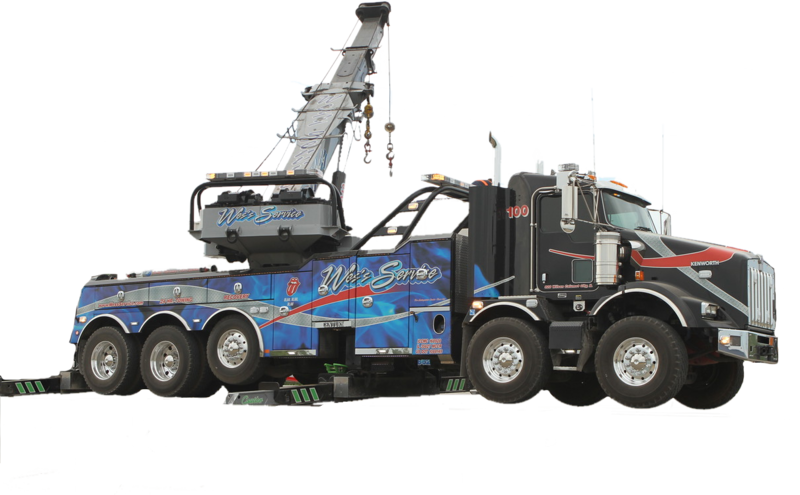 No job is too big, no tow is too small – Wes’s Service, Inc. can do it all! 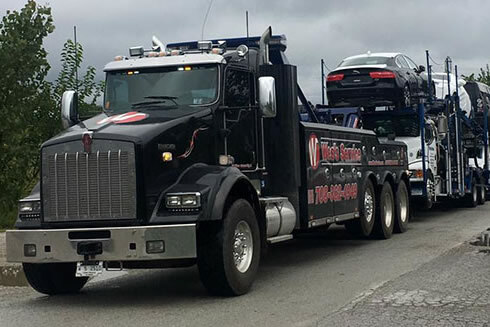 Our team provides roadside assistance 24 hours a day and 365 days a year, ranging from towing a motorcycle to tending to a multi-vehicle collision(s) and semi-truck rollover(s). 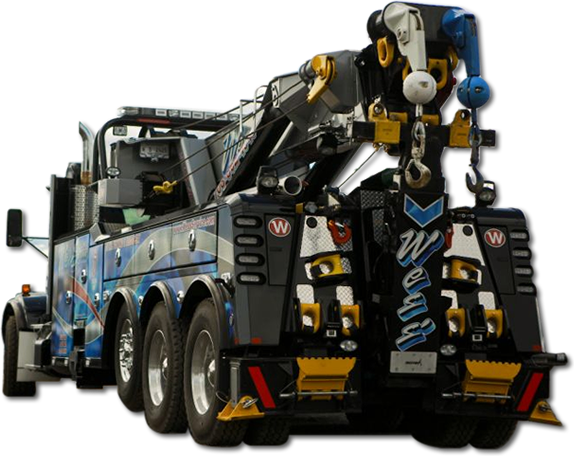 To further illustrate our capabilities we offer, but are not limited to we also provide; towing and storage (both short term and long term), mobile repairs, truck repair services and motor vehicle accidents. Wes’s Service, Inc. is certain we can provide pivotal services and a successful partnership. We look forward to efficiently and effectively servicing your company and establishing a rewarding relationship and success for all concerned. 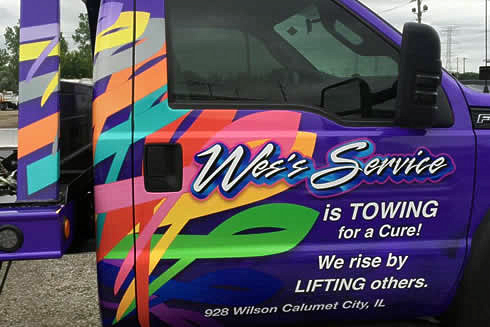 Wes’s Service, Inc. is towing for a cure and raising vital funds for the patients and families at Ann & Robert H. Lurie Children’s Hospital of Chicago! 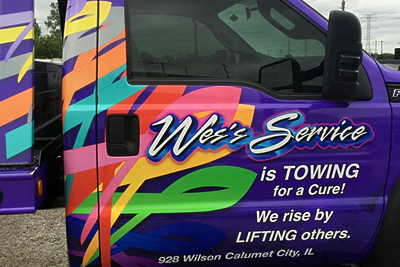 Along with collecting donations for the hospital’s benefit, we will be donating a portion of the proceeds each time our new “Tow for a Cure” tow truck is operated. We hope you will support our efforts by making a gift today. The hospital relies on philanthropic support to fulfill its lifesaving mission and any amount will make a difference! All donations are tax-deductible and will be acknowledged by Lurie Children’s Foundation. Don’t ever feel stranded again! 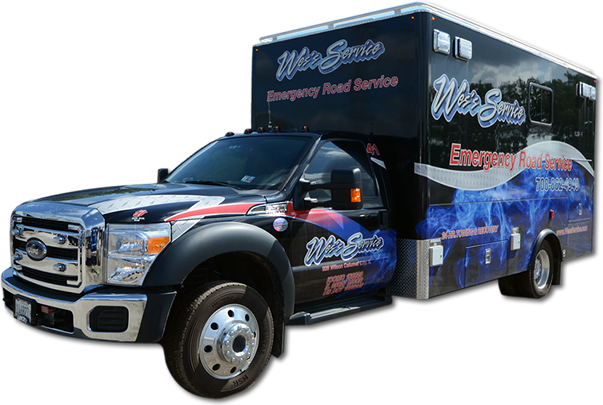 Wes’s Service, has been providing Emergency Roadside Service for over 50 years. Our local emergency roadside service is available 24/7, 365 days a year. 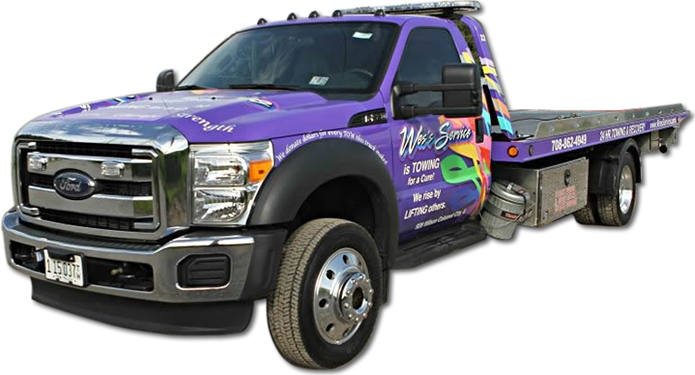 Wes’s quick response time assures you will be back on the road and on your way in no time. Towing, air leaks, jump starts, coolant leaks, vehicle lock-out services, and battery change services are just the start of what we can do. 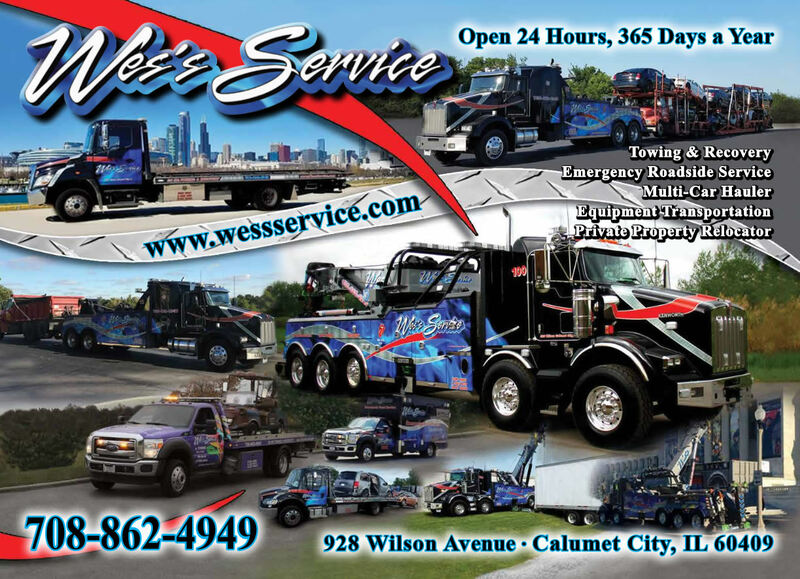 Call us at 708-862-4949 and let Wes’s deliver fast, dependable Emergency Roadside Service directly to you.